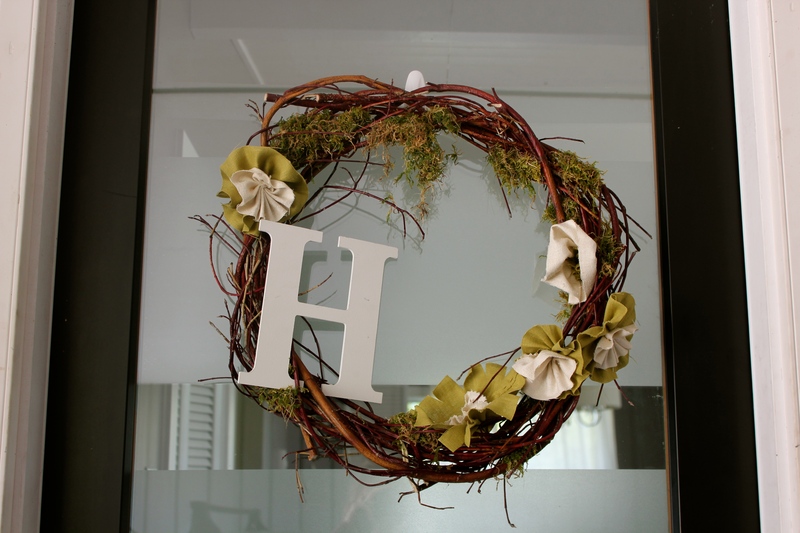 Decorating, Renovating, Crafting and Fun-Having! Our little babe came early, thus leaving me with no time in the last couple months to post the completed wreath. Here is the completed number and I was able to pick and choose from some of the designs below as well as incorporate a few of my own ideas. We have the most wonderful hill/mountain behind our home and it was here where I cut down the branches to build my wreath. With some zip ties and muscle I twisted and weaved the branches together to create the shape and size I wanted. I pulled a ton of moss from our lawn, made some fabric flowers and stuck the letter into the creation. It took me one full filled afternoon and if I had found my hot glue gun earlier I wouldn’t have had to sew the flowers and moss onto the wreath! Once I got started I wanted to add a little more umph to our front entrance. Again everything was things I could find around our home, whether it was growing outside or a little trinket sitting around our home. 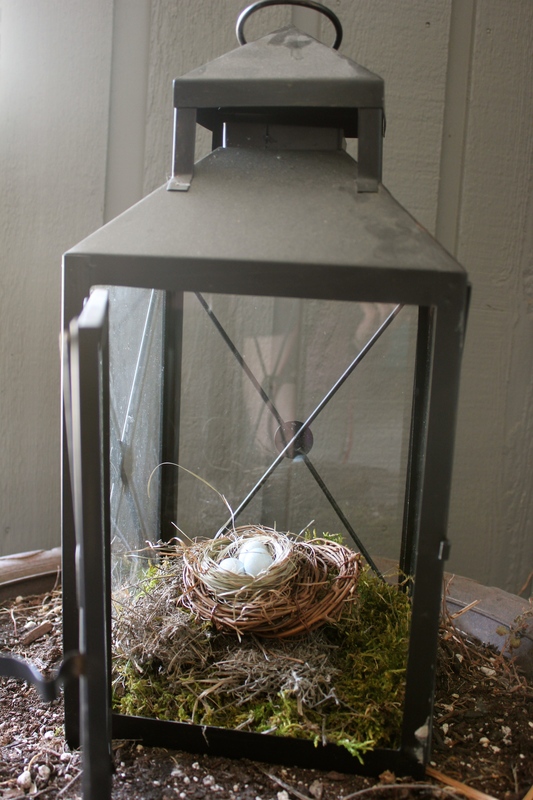 I used a bunch of branches from our birch tree, moss from our lawn, a lantern from our table and a cute little egg grouping left over from another project. Please excuse the dust on the top of the lantern, I obviously have had some other things on my mind! How cute are these little eggs! 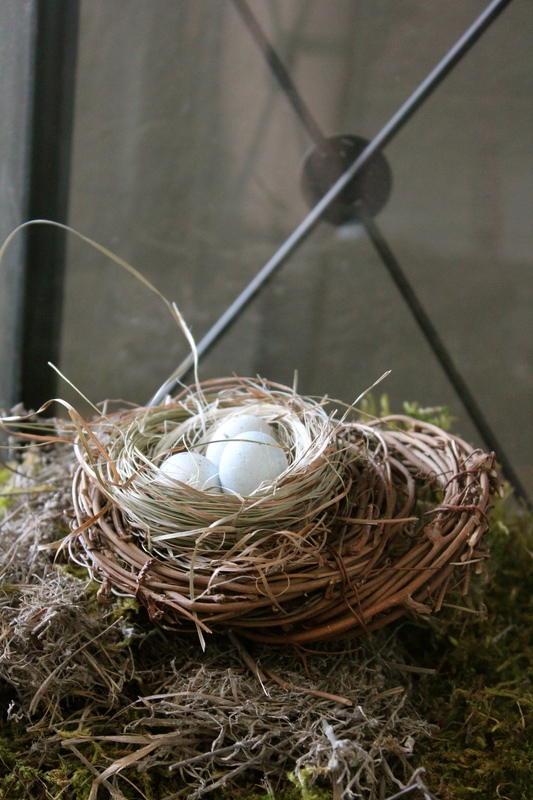 I then wanted a little something inside and had leftover moss and twigs. I have a bell vase that I like to decorate with the season so this is the house for a little burst of spring. 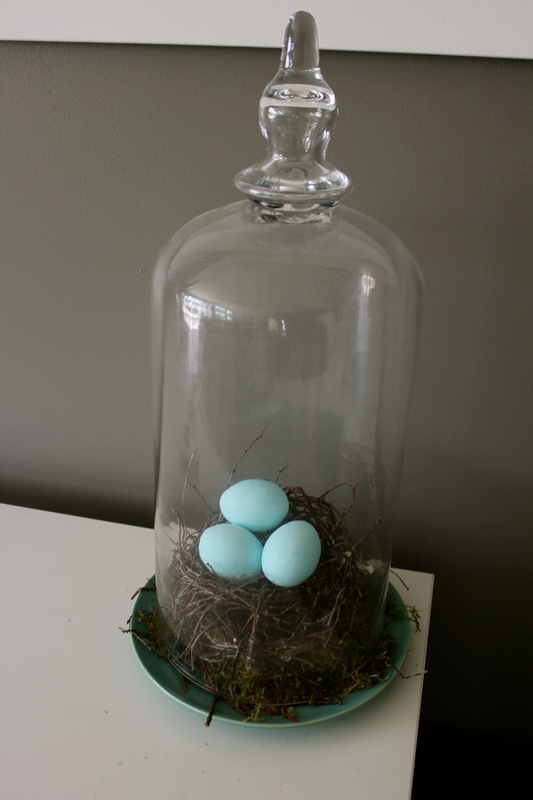 I blew out the inside of some eggs and then painted them a hue of tiffany’s blue (one of my most beloved colours!). I placed the entire creation to top of a little dish I have and voila – all done! So go forth and create, it feels so good to finally have some little projects finished!